Faster and more effective production of spare parts catalogs and user manuals. Less errors and higher quality of technical documentation and wish to offer customers a choice of documentation in different formats. SP Maskiner creates customized parts catalogs and manuals for its tailor made forestry harvester heads in half the time using CATALOGcreator and SolidWorks Composer. 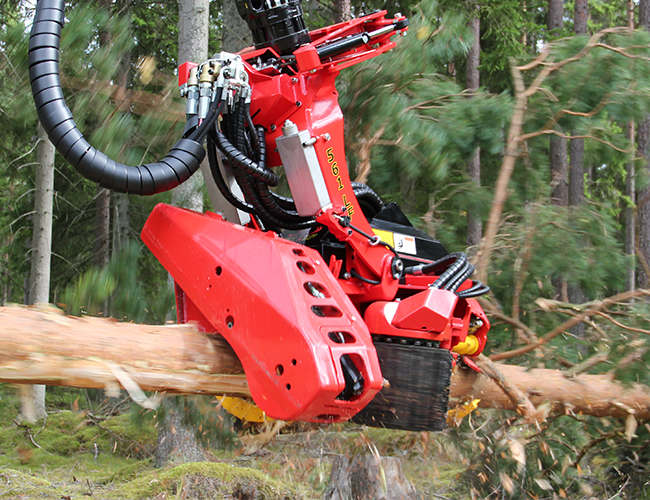 The Swedish producer of harvester heads for forestry machines SP Maskiner is now producing all its customized manuals that come with the company’s tailor made machines in half the time. At the same time, the quality of the manuals has become much higher. This is the result of a project in which SolidWorks, SolidWorks Enterprise PDM and ERP system have been integrated with SolidWorks Composer and the software package CATALOGcreator from PLM Group. “Now one employee instead of two, can do the work, which means that we annually save one man-year by using the solution for the automatic generation of our aftermarket documentation and we bring more value to our customers. They get flawless documentation, custom made for their unique machines, in exactly the format they want, whether it is paper-based, on CD-ROM, online via our company web or any combination of the three,” says factory manager Benny Granath, SP Maskiner. Since 2004 SP Maskiner has been using SolidWorks and SolidWorks Enterprise PDM from PLM Group. Last year the company decided that it wanted to streamline the production of manuals and spare parts catalogs making it less labor intensive, involving fewer working hours. Furthermore, the goal was to enhance the quality of the documentation by eliminating possible sources of errors in the preparation process. CATALOGcreator gathers information from the SP Maskiner ERP system and combines them with 3D files and other technical information from SolidWorks Composer. The 3D files in SolidWorks Composer are generated in SolidWorks, controlled by SolidWorks Enterprise PDM and they are constantly updated when changes are made to the 3D models of the machines in SolidWorks. In CATALOGcreator, the user can choose the output format that the specific manual has to be published in. The solution at SP machines was developed by SP Maskiner together with PLM Group in a pilot project where work routines and workflows in the production of manuals and parts catalogs were established in the software. “It took a while before all the routines were in place but after the whole workflow has been automated, there are a lot less potential sources of error, which results in much higher quality of our documentation. We are constantly doing follow up on the project identifying potential ways to become even more efficient,” says Benny Granath. Next step for SP Maskiner is to use the information from the publishing solution to establish a web shop where customers can order parts for their machines: “We reuse the same information that is used for their manuals. This ensures that the customer always orders the correct spare parts. 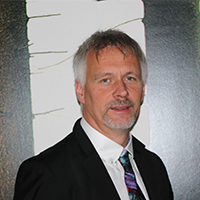 Furthermore, a shop order will be recorded directly in our ERP system, so it can be executed quickly and efficiently,” explains Benny Granath.